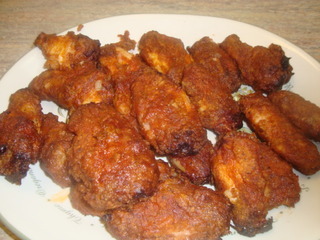 Got an early start this morning with some hot wings. 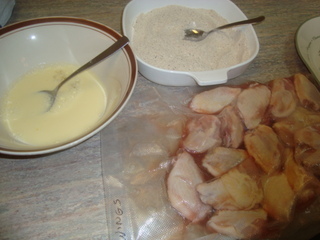 Made up the egg wash and then the hot breading and prepped my hot wings. 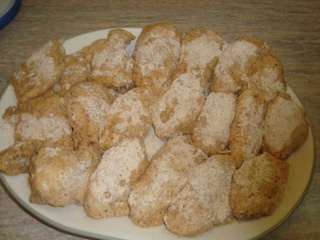 Placed them in the fridge for about an hour so the breading can set up before I cook them. Fired up a half chimney of lump charcoal and waited for it to get right. 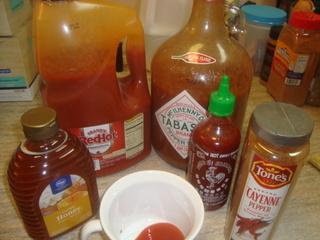 While the charcoal was getting right, I made up my hot sauce. 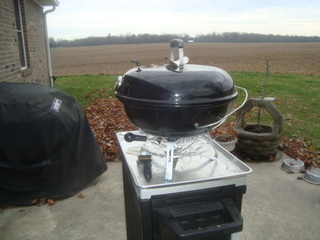 This cook was done in my Weber Jumbo Joe with the Mini Vortex holding the charcoal. 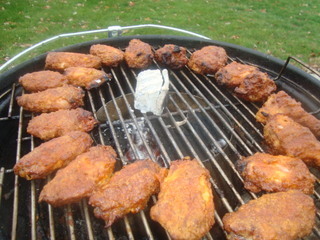 I used a piece of hickory for the smoke and just cooked my hot wings until they were done. Now, I am ready for some football! 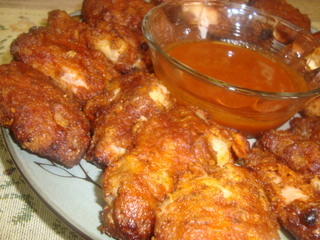 Awesome looking wings!!! How do you like the Vortex? This was only the third time I have used the Mini-Vortex in the little Weber kettle and the first time I have tried it with lump. I wasn't very happy using it with the lump as it only lasted about an hour before I had to add more fuel. It was pretty cold and windy but I would sure think it should have lasted a little longer. However, it does do a nice job with the all hardwood briquets. 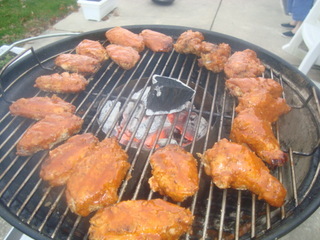 Those look great Dave, must have been good luck wing, Colts won! I have the regular sized Vortex and what impressed me the most was how little fuel it uses. 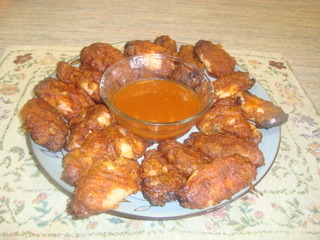 I love me some wings!